Yanhong is an educationalist and child development expert who is ranked as one of the “10 most followed” parenting advisors on Sina Weibo (China’s equivalent of Twitter). She has been hailed as the “Dr. Spock of China” by the Wall Street Journal and is frequently quoted in the media as one of China’s leading experts on child development. Yanhong has transformed approaches to parenting and education in China in numerous ways. Yanhong graduated with a Masters of Education from Rutgers University, New Jersey, and a Bachelor of Arts from Peking University. Author of 11 books on child development, education, story-telling, travel with children and cooking. 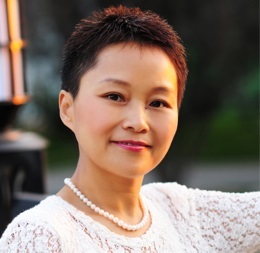 Her books have sold over 1.5 million copies in China. The first native Chinese-speaking expatriate Parent Effectiveness Training (P.E.T.) instructor in mainland China. The first native Chinese-speaking La Leche League Leader and the best-known advocate of breast-feeding in mainland China. Co-founder of the first Waldorf school in Beijing and the first international Waldorf Camp in China. Creator of a pioneering parent training course called the Art of Parenting that integrates intellectual learning with artistic activities. Yanhong now runs regular Art of Parenting sessions both online and offline. Nick is a communications and management specialist with over 25 years experience building bridges between China and the West. After graduating from Victoria University, New Zealand, with a Master of Music, Nick moved to China, where he lived from 1990-2015. 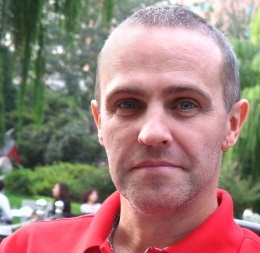 During his 25 years in China, Nick ran a variety of businesses and organizations, including Ketchum (public relations) and the British Chamber of Commerce in China. In 2015 Nick moved to New York where he co-founded Samirand Ventures with his wife, Yanhong Wheeler. Managing Director and Vice President of Ketchum’s Beijing operation from 2002-2015. As a seasoned communications strategist, veteran crisis management counselor and hands-on client service professional, Nick served a wide range of clients across a diverse spectrum of industries. General Manager of MediaView from 2000-2002. MediaView was a consultancy focused on introducing advanced management techniques into the pay-TV industry in China. Working with both Chinese and US governmental and non-governmental organizations, Nick organized conferences and workshops as well as published a monthly periodical and translations of several books about the TV industry. Managing Director of the British Chamber of Commerce in China from 1995-2000. Nick helped doubled membership and developed the chamber into a full-service professional association serving some 250 multinational firms. Nick managed numerous high-profile activities, including functions for senior British and Chinese political leaders. He also organized trade delegations and a vast range of members’ events and activities.